Robert Pattinson's girlfriend FKA Twigs, Tahlia Debrett Barnett, is unfortunately dealing with racist remarks on social media. After being spotted out with the Twilight hunk on several occasions, Twitter became a platform for haters to cyber-bully Rob's new lady as she is not Kristen Stewart. 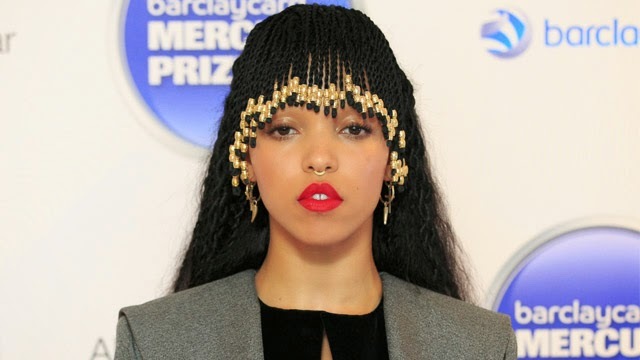 On Sunday, FKA Twigs took to her Twitter account right back to express her shock and disgust over the racist remarks and tweets like "FKA Twigs has an ugly face." This isn't the first time the the 26-year-old London-based musician has faced racism. In an interview with Dazed magazine, she opens up about being mixed race in a Catholic school, "People said horrible things about something I had no control of, which was tough. But that's okay. Life isn't supposed to be easy, is it? I never really saw anything wrong with how I looked, it was more that certain people pointed things out to you about yourself. Either your hair's different, or the color of your skin, or your features." In spite of the bullying she has received, it sounds like Pattinson is a supportive boyfriend. A source told US Weekly that "they connect on music, which is something that Rob keeps pretty close to his heart…He loves her voice, he loves her sense of style as well, how unique she is."